Cloudify was designed from the ground up on principles of openness to power the IT transformation revolution - enabling organizations to design, build and deliver core business applications and network services more economically, without compromising on IT simplicity. At Cloudify we know that the Only Constant is Change. Today's IT environments are heterogeneous, fragmented and complex to manage. While DevOps have their new and shiny cloud native environments, central IT is still struggling with existing installbases of networks and apps. These do not have to be mutually exclusive. Cloudify lowers the barrier of entry to automation - by enabling organizations to optimize existing stacks, alongside new technologies - simplifying the transition from zero to cloud. 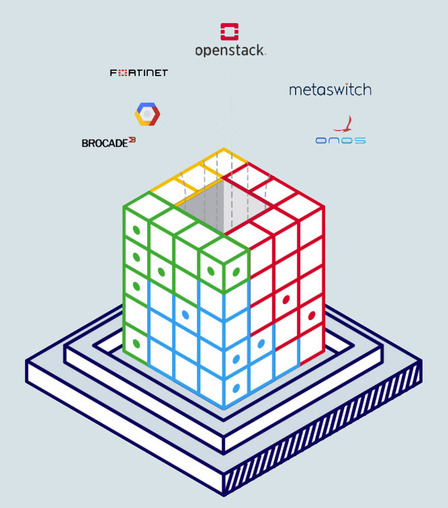 As the only open source TOSCA orchestration platform, Cloudify is delivering model-driven standardization for repeatability and zero-touch IT and network automation at scale, to enable the future of heterogeneous, distributed networks and stacks. Built for integration of clouds and tools, and architected for evolvability; Cloudify enables businesses to focus on their core business and not the technology that powers it. Our team of cloud and NFV experts will review and analyze your specific requirements and use cases, recommend cloud-enabled architecture that's right for you, and define a clear and concise roadmap to achieve the recommended architecture. Cloudify has been assisting leading network function and VNF providers make the transition from non-virtualized to virtualized, and then quickly achieve Cloud Native capabilities, as well. Cloudify, as a leading open source NFV orchestrator based on TOSCA, helps map the new VNF landscape, along with its diversity of requirements from performance, placement, service function chaining, configuration and more, in order to build a true cloud native network function across VIMs. Our experience spans the full suite of VNFs – from vIMS, to vEPC, VoLTE, vFirewall, vRouters or vCPE – Cloudify can help give you an idea on what you need in order to port your existing non-virtualized or virtual network function, and make it cloud native.